SHOOT SHARKS AT LEGENDARY TIGER BEACH! 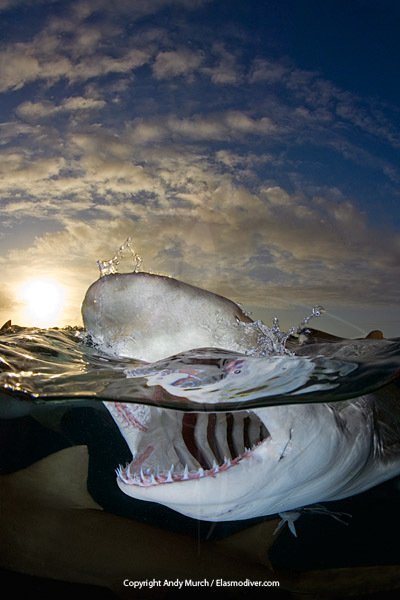 Tiger Beach is the best place in the world to enjoy up close encounters with huge Tiger Sharks. 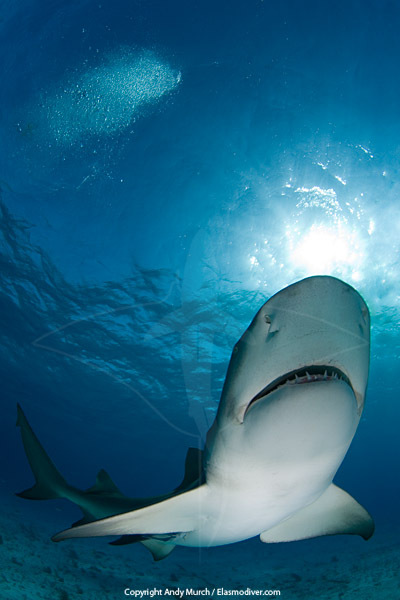 Tiger Beach is also the best place to swim in a swirling mass of large photogenic Lemon Sharks sometimes 30 or 40 strong. 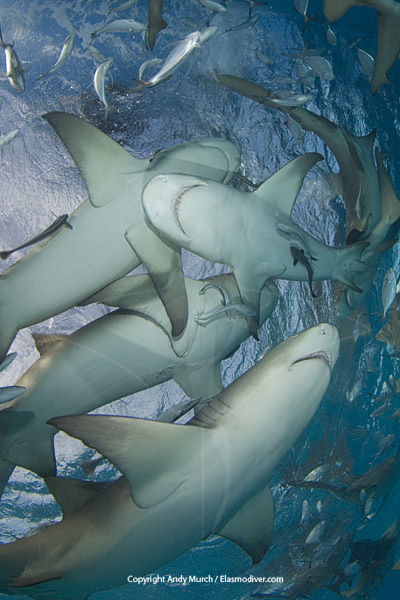 IMAGINE THIS OPPORTUNITY: You're kneeling on the sand right next to the shark handler while tiger and lemon sharks circle expectantly. A huge tiger swims so close to your camera that it barely fits in your view finder. It's bulk blots out the sun. You compose your shot and fire repeatedly until the shadow moves away and your heart beat begins to slow down. Whether you're a novice looking for your first amazing images or a veteran shooter ready to hone your craft, this trip is for you. 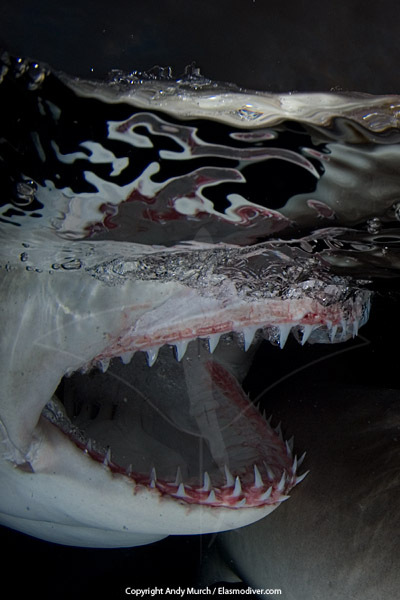 If you're not a shooter you're still welcome to enjoy daily shark image slide shows and presentations. 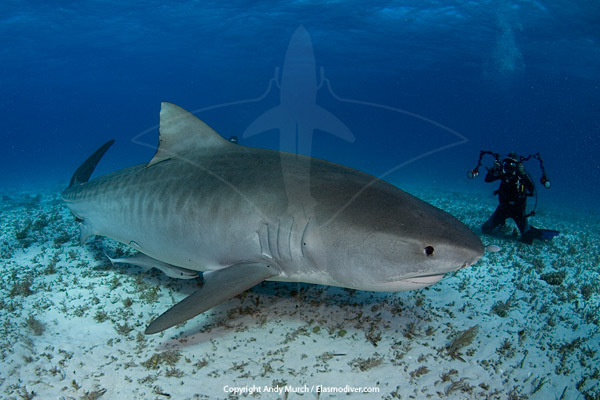 Tiger Beach is the pinnacle of shark diving in the Bahamas - no one comes home feeling the same about these magnificent animals. Shooters will also have the opportunity to work with a professional model, shoot sharks at night and shoot in a dynamic reef setting. Learn how to tweak your images to make them jump off the screen and learn how to prepare them for commercial submission. The workshop will include five epic days of diving with lemons, tigers, reef sharks and nurse sharks and great hammerheads if we're lucky! We will also spend one afternoon and evening shooting spotted dolphins near Tiger Beach. Seven days round trip from Palm Beach, FL. 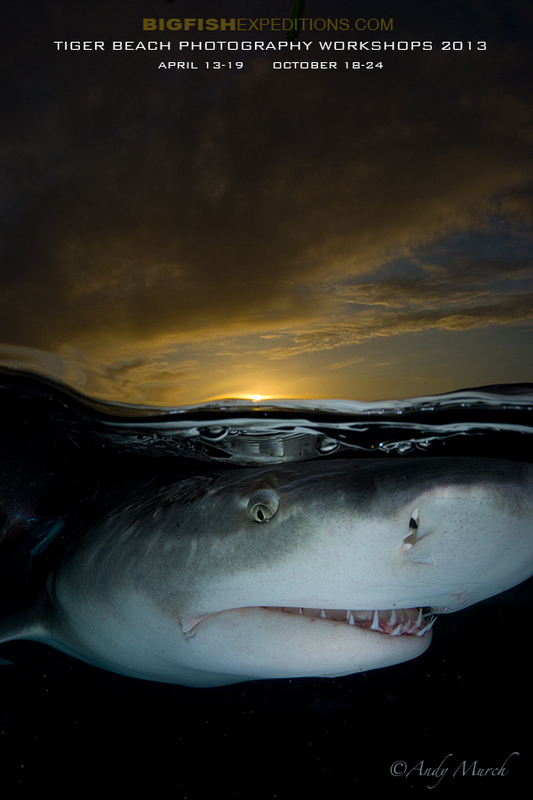 Join Photojournalist Andy Murch on the Shark Shoot of the year at Tiger Beach!